We are The Maker Men. 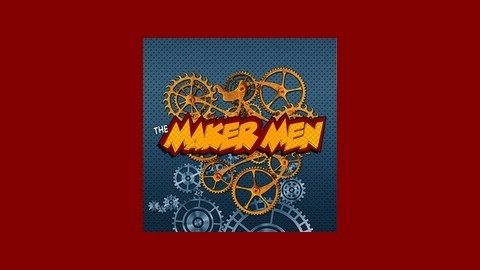 Join Paul Pape, owner of Paul Pape Designs, and his merry band of friends (Mike Kallstrom and Greg Harries) as they discuss the ins and outs of the world of makers, custom designs and general geekery. Get a look at the creative process from the inside. Fun and informative for all ages with a dash of wry humor thrown in for good measure. Episode 78: Weebo, weebo. 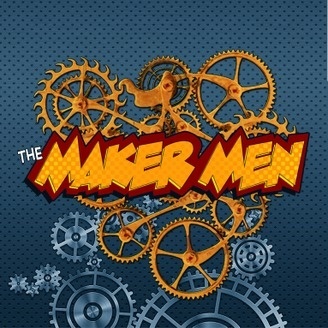 Join Paul, Darin and Mike this week at the new Maker Men Studios (trademark pending). Lots of catching up to do since the hiatus and the return of Mike. Listener Don Rush asks how to repair a splitting seam in HHDT, Paul talks D-Limonene, Darin stresses the importance of cleaning your pipes and Mike layers it on thick in Tip or Cheat. Then the guys pitch new Minion-through-the-ages storylines in the Pitch. Work smarter, not harder.